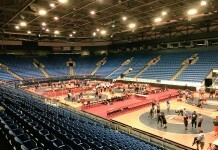 Want to see more in-depth articles like this one on Illinois Matmen? Please consider donating to our GoFundMe campaign. All proceeds go directly towards funding original content on this site. If preseason polls and prognostications mean anything – then the pollsters were spot on when they predicted good things for Marmion Academy and Lockport. The two wrestling giants were the class of the 28th annual Moore-Prettyman Invitational last weekend, and when the final whistle brought this high-profile Thanksgiving tournament to a close at host Barrington, it was Marmion Academy in front. “I couldn’t be happier with the overall effort from our entire lineup this weekend (that’s) what it takes to win a tournament such as this – and it’s terrific way to begin the new season,” said Fitzenreider. Nobody here, as expected, was at full strength, however the Cadets were closer than most – a fact not lost on Fitzenredier, who took charge after Donny Reynolds left his post (here) to take the job at his alma mater Providence Catholic. After taking turns leading the 27-team field on the first day of this high profile tournament, with runner-up Lockport, the Cadets used a terrific second day burst to put some distance between themselves and the Porters, who turned in a marvelous performance themselves over the two days of play. “Nate (Jimenez, now wrestling at Michigan State) missed a lot of time, (Brad) Gross was out until regionals, and obviously (Peter) Ferraro had not wrestled since regionals his sophomore year,” began Trevor Chumbley, one of three individual championships Marmion Academy would collect. 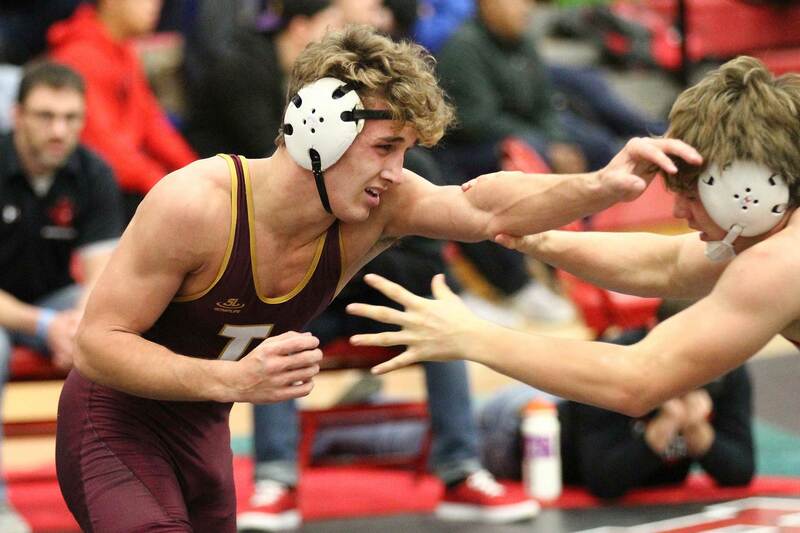 Chumbley, who finished a brilliant 2017-2018 season by capturing the 138-pound state title, followed teammate Diego Sotelo (106) with the second of three individual titles when he defeated Giovanni Cassioppi of Hononegah, 3-1. 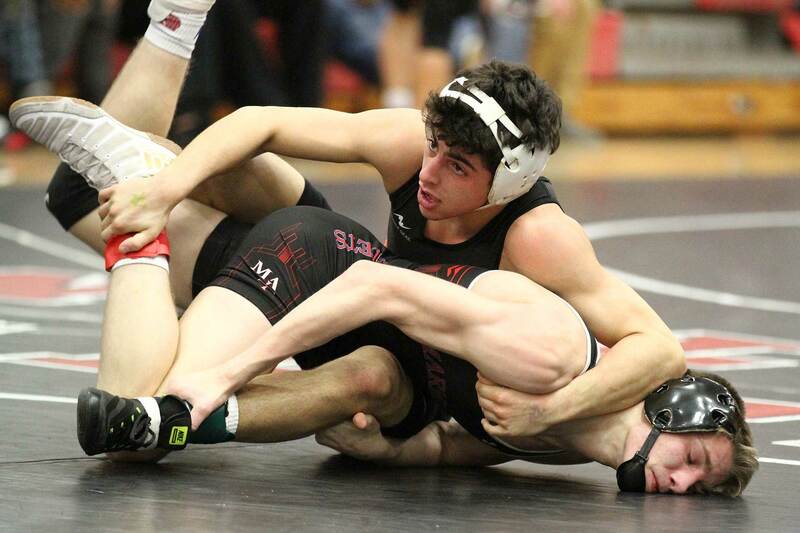 Not a single opponent of Sotelo was even close to the Cadets sophomore, who cruised through his bracket, using his second fall in four matches to beat Waubonsie Valley junior, Evan Bruner. “I’m happy to be back and ready to go, and really excited about how this team is shaping up,” said Sotelo, second last year in Champaign to Jake Rundell (OPRF) who beat the Cadets star 5-2 in the final. The Chumbley title halfway through the final session all but closed out Lockport, which stayed in the hunt as long as it could, only to fall short in the end 260-213.50. Libertyville, the team champ here a year ago, was third overall with 159.5 points, followed by Plainfield South (148) which edged Stevenson by two points. 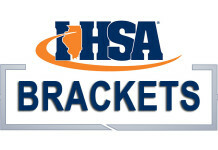 Wheaton North, Prospect, Barrington, Grant and Hononegah would round out the top ten in that order. 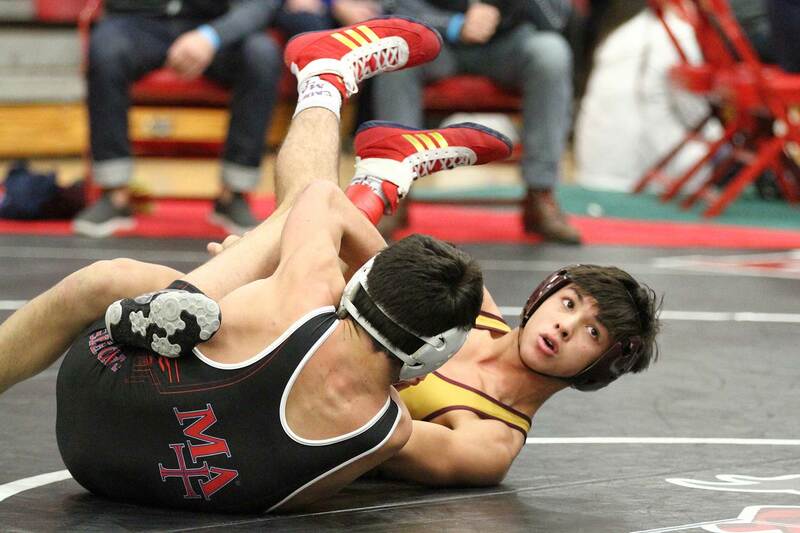 Freshmen Keegan Roberson (113) kept the Lockport hopes alive after his impressive 10-2 victory over Andrew Perez, which was followed by a hard-fought (9-4) win from 2018 state champion Matt Ramos over his good friend and offseason workout partner, Michael Jaffe. “I didn’t expect to win here this weekend, but when you’re in the room and working out with guys like Ramos and (Anthony) Molton, you’re bound to get better,” said Roberson. 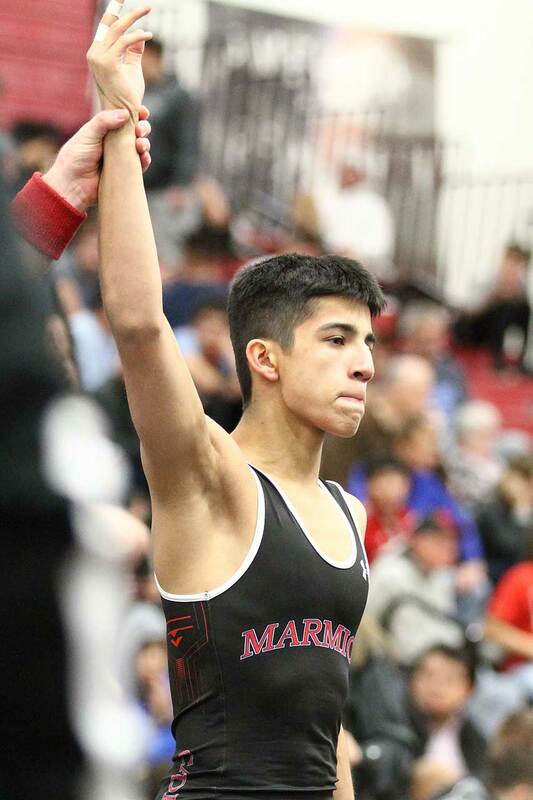 Ramos would take the lead for good over Jaffe (Marmion Academy) with a take-down near the edge at 2 1/2 minutes – then defend a quality shot from his opponent at the end of the second period to take a 4-2 advantage into the final period. “Matt and I have probably wrestled 10-12 times – we’re really familiar with each other and what each will do (but) he was better today, so I have to go back and continue to work on some things,” said a gracious Jaffe, who will join his brother (AJ) and current teammate Ferraro next fall at Harvard. Two reigning state champions were easily the hit of the final session – showing the big crowd, and likely those on internet chat forums that each are serious about another glorious run to a state title. Molton, who went 47-7 on his way to a 3A title last season, and 2A state champ, DJ Hamiti (Joilet Catholic Academy) thrilled during a 126-pound highlight reel contest in which the Lockport senior finally prevailed, 20-14. Molton, the 120-pound champ last season, roared out to a 14-6 lead halfway through the second period before conceding an escape and take-down to set the stage for one last offensive onslaught by these two stars. Hamiti, state champion at 103 in his rookie season, closed to within four (15-11) – then three on his unstoppable work rate and desire – until Molton, off to Old Dominion next fall – closed out his hard charging opponent with three more points in the last thirty seconds of regulation. “Anthony is so explosive, aggressive and quick – but it was good to see DJ fight (and) fight hard for the entire six minutes,” began Joilet Catholic Academy head coach, Ryan Cumbee. “It was a good final with DJ,” admitted Molton. 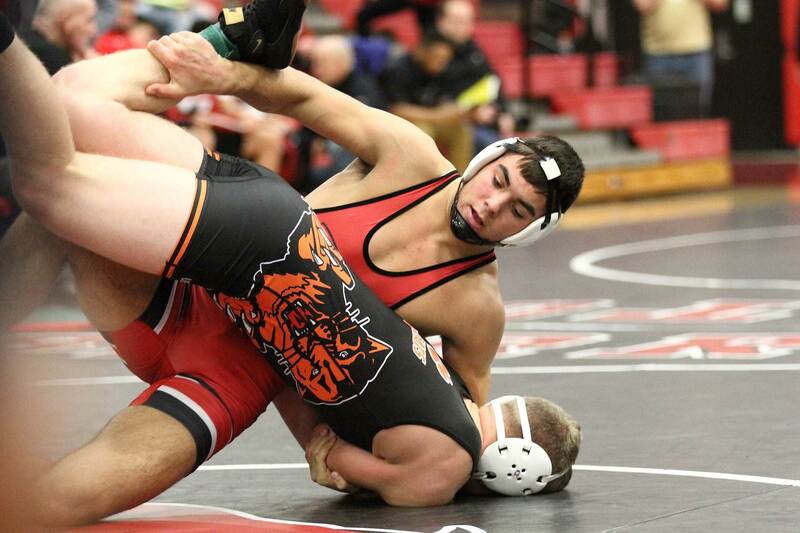 North Suburban Conference favorite Libertyville had a fine showing over the two days, collecting seven medals, two of which were gold with Danny Pucino (132) and Michael Gunther (138) climbing atop the podium. Pucino, third last year at state, impressed from start to finish to validate his preseason No. 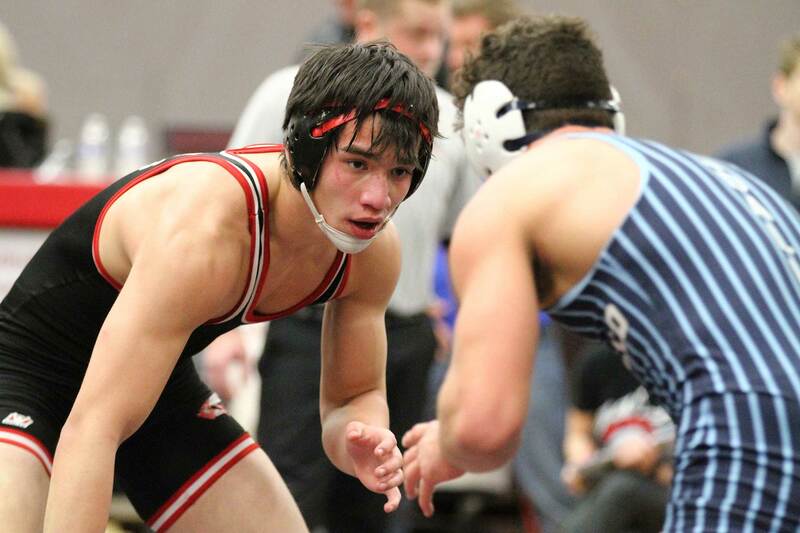 3 spot in the polls following his cagey 3-2 win over Nathan Callaway of Marmion Academy. “There was a little bit of nerves in that final, rather than try to dominate, I was too focused on just winning the match, when (it) should have been about just trying to outscore him,” admitted Pucino. Pucino’s teammate Gunther won his second straight Moore-Prettyman title, doing so after his 7-1 decision over Prospect senior, Andrew Baysingar. The Wildcats senior used a take-down near the edge to grab a 2-0 lead in the first period, then extended his advantage with a strong second period effort to build a 6-1 cushion in advance of the third period. 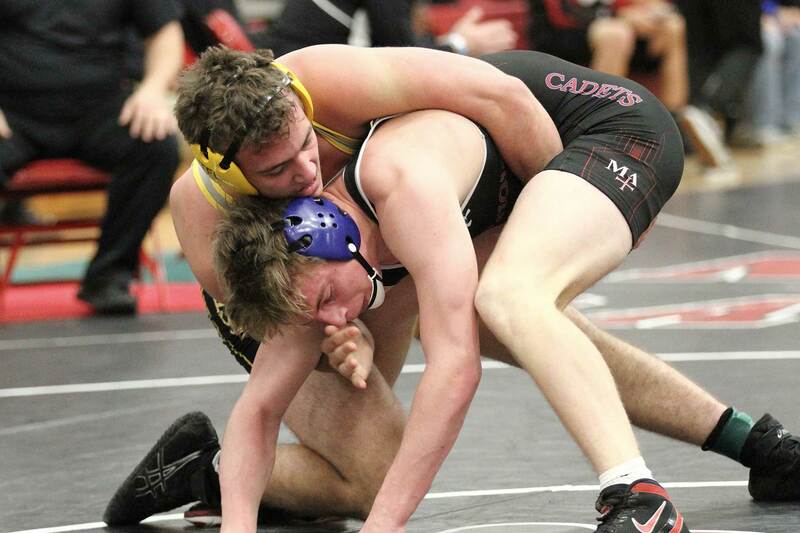 “I knew it would be a high-scoring match, so it was important for me to put some points up on him as soon as I could, then go to work on not allowing him to get into any type of rhythm,” said Gunther, a two-time state qualifier. With his second Moore-Prettyman crown, Gunther now has one more than his older brother Joey, who became a two-time NCAA qualifier at Iowa, before heading to Illinois in a transfer move prior to this season. Baylor Fernandes (152) would snare the fourth and final championship trophy for Lockport after his 5-2 decision over Yorkville junior, Joe Roberts, who would later watch teammate Nick Stemmet mash Jack Damenti (Libertyville) to win top honors at 195. His twin brother Ben was unable to make it two in a row for the Stemmet family when Stevenson senior, Max Gomez (220) recorded a fall at 3:59 to avenge a 9-8 loss in his debut at state last year with the Yorkville star. “It was my first ever trip downstate and (that) first round loss knocked me out of the tournament, so it felt good to have another chance at him, and to beat him in the final here to win a title at such a big tournament,” said Gomez, who went 36-10 a year ago. “That was classic Max Gomez you saw out there today,” began a proud Stevenson head coach, Shane Cook. When Yorkville gets all of its men back from injury, the Foxes will feature a dangerous middle of the lineup on up – beginning with Roberts, and right on through to the Stemmet’s and big men Brady Fisher and Keenan Ness, who were out of the Foxes lineup this weekend. Opponents of heavyweight champion Jose Ramos likely wished the Prospect senior was out of the Knights lineup and on a beach somewhere instead of wreaking havoc over his 285-pound rivals. 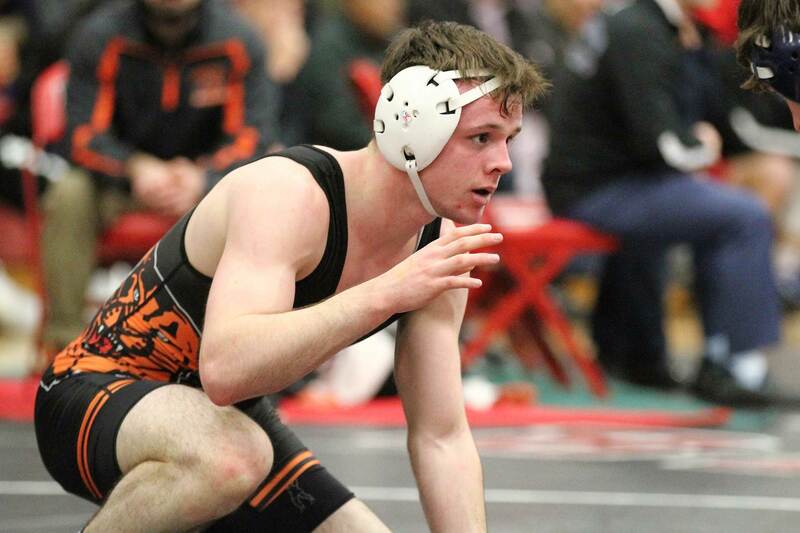 The two-time state qualifier pinned his way to his first title here – making his statement of intent on his final year under Tom Whalen crystal clear. “Jose has committed himself to being the best he can be – it’s taken some time for him to do so (and) he still has things to work on, but if he continues to work, in and out of the room, he can be there when the postseason begins,” said Whalen. While the Ramos’ climb to the top here wasn’t a total surprise, the opposite was true where Barrington junior Luke Rasmussen navigated his way through the 160-pounds bracket to hoist the championship trophy in front of his home crowd. Along the way, Rasmussen, anointed the No. 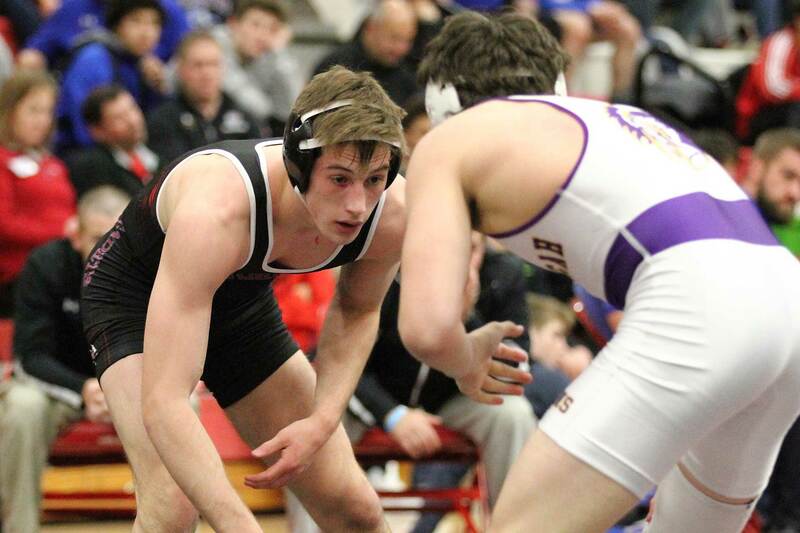 4 seed – would stun top seed Brad Gross (Marmion Academy) in a nervy semifinal that had the Broncos star ride out the final 43 seconds of a 4-1 victory over the 2018 3A state runner-up to advance. “I never wrestled (Gross) before, but it was important for me to (keep) the pace up in that third period after taking the lead,” said Rasmussen, who admitted later his focus was not on the success Gross has achieved, or where he was in the bracket, but only on the game plan he and his coaches devised. Rasmussen would later defeat Jake Kendall (Plainfield South) in another hard-fought final which was decided with a take-down near the edge to break a 3-3 tie with thirty seconds remaining. The aforementioned Ferraro, on the injured list (elbow) since earning a regional title in his sophomore season, followed the Rasmussen-Kendall final by defeating Quinlan Nelson of Wheaton North, 11-4 to claim the 170-pound crown. Last, but certainly not least, junior Josh Labarbera, gave Metea Valley its lone championship of the weekend after getting by Patrick Daum (Marmion Academy) to win the 182-pound crown. Labarbera, who broke a streak of four consecutive third-place finishes at major tournaments after his decision over Daum, opened play here with a fall at 0:54 on Friday, forced his way into the semifinals when he recorded a 10-5 decision in the quarterfinals. The 2018 state qualifier, overwhelmed Justin Brown (Grant) in his semifinal (10-5) – then built a 3-0 lead on Daum – then holding on for dear life to claim a 3-2 victory. “Last year (here) I lost 4-2 to another Marmion guy (Nate Jimenez) in the semifinals, and oddly enough, I was a little nervous at the start with Daum, who’s also from Marmion,” admitted Labarbera, whose series of the aforementioned third-place medals began here last November, and continued at the DVC tournament, then Naperville Central regional, and finally Hinsdale Central sectional. “They don’t come any better than Josh,” begins Torres of his Freestyle and Greco All-American, who, through his church, went on a mission trip to Belize this past offseason. Great article Mike! Great pics Gary! Here I thought you guys just came to hang out with Lisa and I? #ILWrestlingPulitzer!